Many people who have lost babies that I've met in the past 6 years have gone on to have a "rainbow baby," as they are called (many have multiple rainbow babies). A rainbow baby is a child who is born after the storm of losing a child. These people talk about their child bringing them out of the pit of the sorrow that comes when one loses their child. 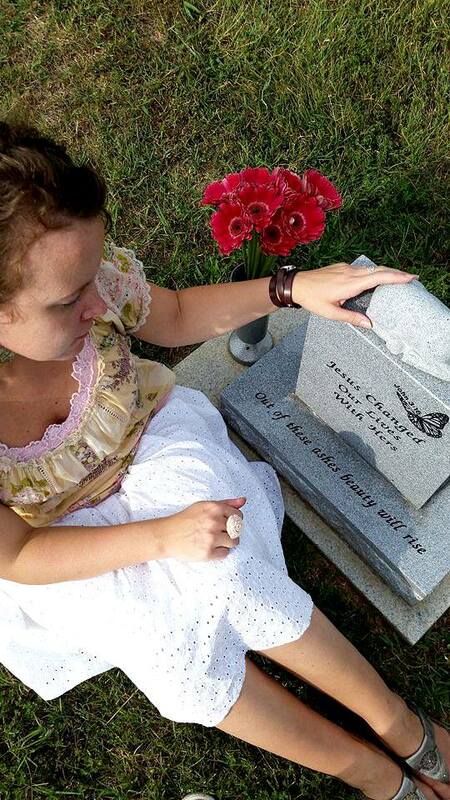 About a year ago, I "met" a mother online whose daughter was due just days before Lily in March 2010. This little girl shares both Lily Katherine's first and middle names, just with a different spelling for both names. She was stillborn in late February of that year, meaning her 6th birthday just passed. We connected over our daughter's similar dates and names. Then she told me she had a healthy daughter a year later. She told me if she lets go of her focus on her living daughter, her heart becomes much heavier about her daughter who is no longer living. On her eldest girl's birthday this year, she took her little sister to her stone. A good friend of mine who lost her daughter in 2010 as well recently had a healthy baby daughter, with a couple boys born in between those years. When my friends have their rainbows, I am truly delighted for them, but it does sting to see her hold her littlest girl in her arms. I want a little girl in mine. Seeing and hearing these things is difficult for me, because here I am, 6 years later, and still no living baby. In some ways, I am still deep in sadness. When I read these things, it stings because I wonder, will I recover? In many ways, I think that having a baby in my arms would help heal me in deep and immeasurable ways while on Earth, ways that only ever having another child can heal. Does God not want me to be healed in the way He has allowed others to be? Am I just resigned to the fact that I may always be haunted by silence, never to hear my own baby's sweet cry? Is this what my motherhood is going to look like for the rest of my life? I have many different experiences, making it impossible to find someone who can relate to them all. This has driven me more into the arms of Jesus, as I recognize nobody can or ever will be able to understand completely. But I know He does. And maybe I'm meant to be in the place where I feel completely isolated and misunderstood, so that I will turn to the only One who validates, understands, and loves me through it all. Not everyone gets their "rainbow." I pray that the Lord reveals in and through my life that even if we don't get what most people think will heal us and make us whole, He is still enough. He is my rainbow, my hope in life and for eternal life. I am exactly where I'm supposed to be on the "track of life," referencing the marathon analogy. I appreciate this article about The Unique Grief of Mothers without Living Children. Oh my dearest Hannah! My heart just aches for you!!!!! Perhaps I can offer a different perspective for you? Maybe you've thought of this and maybe you haven't.... maybe it brings little comfort but, consider this possibility: because you are still waiting on your rainbow ( ;) and your promised man!!) you are unattached and can therefore go out into the world and speak on behalf of those of us who cannot and yet ache to be heard. You are our champion and heart speaker because of, not in spite of, your very unique circumstances. You can go where I cannot. I pray so very often for your "one day" to hurry up and get here, for a man to sweep you off your feet and for your rainbow to come. You ARE an excellent mother! And my heart just aches for you to have a sweet baby to sing to sleep each night. But also know this, though I know many people say (and indeed non-babyloss folks assume) that to have a rainbow is to heal and get over and move past your beloved's death... that is not always the case. My heart has 5 gaping holes that never cease to hurt. Ever. And often times the 5 kiddos be-bopping about the house only serve to remind me that my family is not complete.... I hate family photos. I love these kiddos absolutely to the ends of the earth and would die for them but THEY did not bring my heart healing! They did fill my arms (and my mini-van lol) but they did NOT fix any of the pain. My precious Lord and Savior did that! But the heartache and hurt and feeling of "not whole" is still very much there. I hope this makes sense?!?! Next week I take 2 kids off to driver's ed... but 2 more should be in the van with me. :( I feel it. Every day. Every holiday. Every birthday.